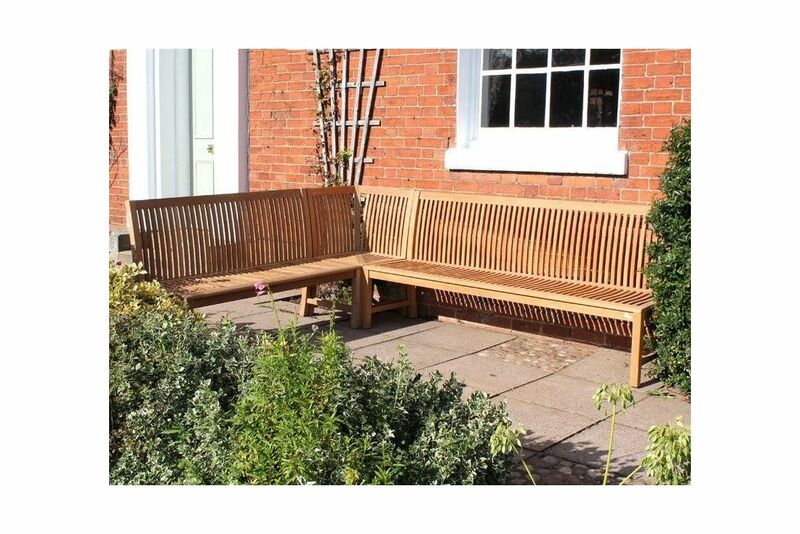 The Royal Corner Bench is all about flexibility and style in your outdoor space. 1.5 metre, 1.8 metre and 2 metre. The set is made up of two benches and a corner bench. but you can change to bench sizes as required. Any combination of bench size can be used on either side of the corner piece giving great flexibility to cater for all sizes of corner space outdoors. All pieces are hand crafted from the highest quality teak wood. The benches and corner piece are all designed with comfort in mind. They have contoured seats and back sections sturdy leg structures and a super-smooth finish throughout. All joints are hand cut mortice and tenon reinforced with teak dowels this means that they will stand the test of time and regular use. As a timber you will not find anything finer for use outdoors than teak. It naturally has a very dense grain and high natural oil content which protects it against the elements all year round and also guards against cracking or splitting.